To charter on a bareboat basis you need to have some sailing qualifications that were mentioned on the General Information. The charterer is required to place a deposit to cover the cost of any loss or damage that may occur. 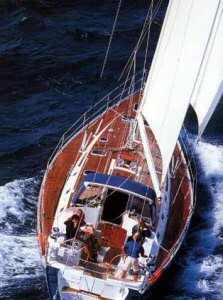 All our yachts are available on a Skippered charter basis. Our Skippers are there to help and guide you around the area, to take you to all the best spots and if you need it, to add a little tuition and sailing technique should you desire. While our skippers are there to make your holiday as enjoyable as possible, you will of course, be expected to lend a hand working the boat. Please note that the number of crew members allowed on board must be reduced by one, when a skipper is accompanying the yacht. The charterer is required to place a deposit to cover any loss or damage that may occur. The amount of deposit for each yacht is noted on Price list.